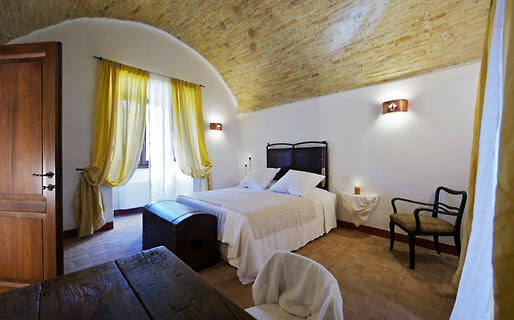 The history of the period residence Torre della Botonta is the history of Castel S. Giovanni: a meticulously restored 14th century fortified hamlet, nestled right in the very heart of Umbria. From the moment guests pass through the castle's entrance gates, they are greeted by an atmosphere of centuries past. Within the stone walls of Castel S. Giovanni, time seems to have stood still since the era when the outpost was contested between nearby Trevi, Spoleto and the Church. 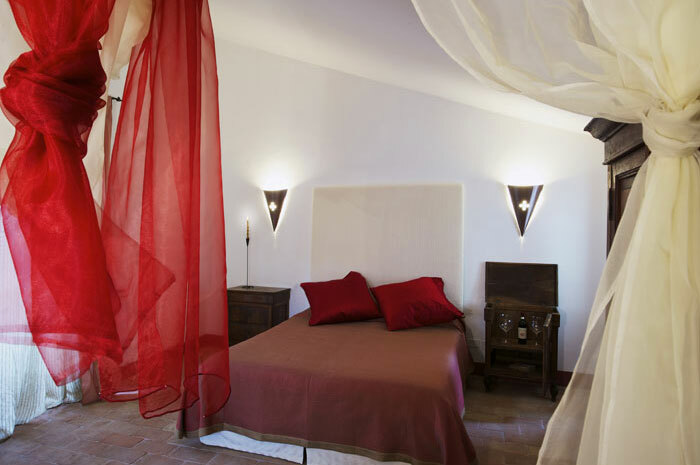 Today three of the buildings within the castle's fortified walls have been converted so as to provide beautiful guest accommodation. 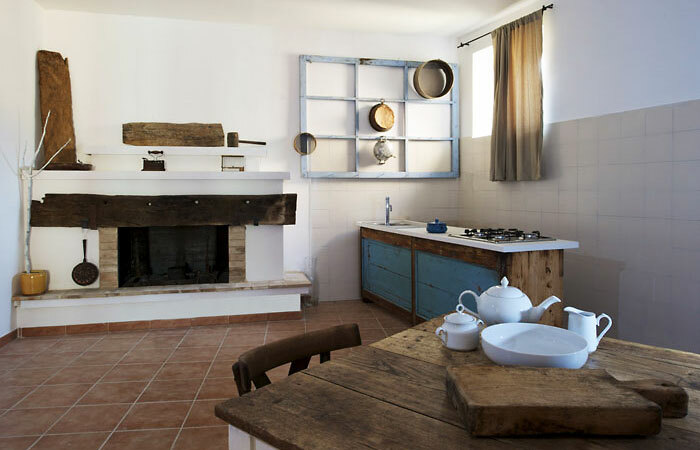 Torre della Botonta has a total of just four bedrooms and one, two-bedroom suite, all of which feature original terracotta floor tiles and vaulted ceilings. 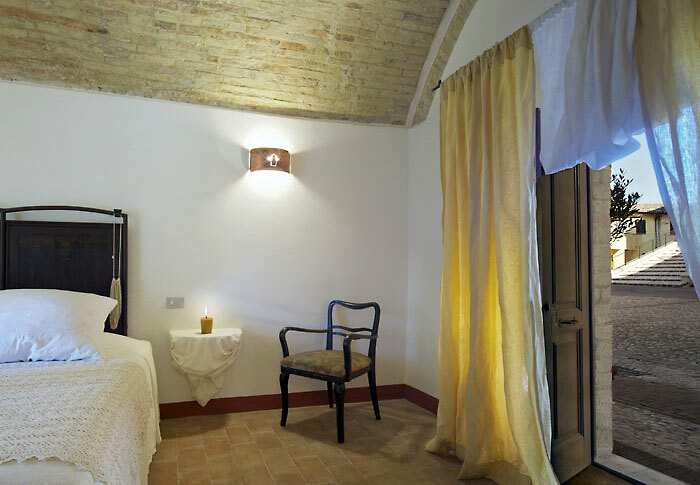 Upholstery and drapes made by local artisans using natural fibers such as hemp, linen, silk and jute combine perfectly with valuable items of antique furniture and carefully chosen hotel-standard accessories. 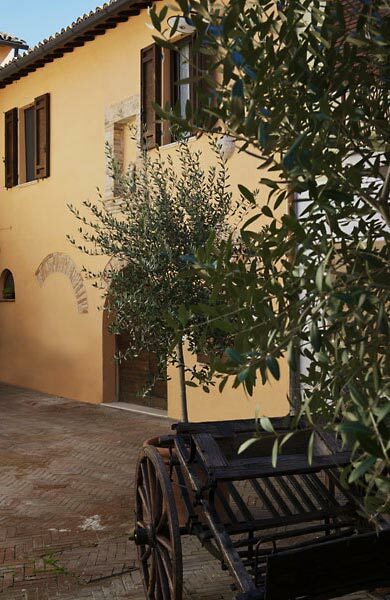 A little corner of paradise for lovers of the region's traditional, flavor-packed cuisine, the "Grotta della Torre" restaurant serves superb seasonal dishes, made with the area's truffles, mushrooms, game meat and, in the autumn, the fabulous black celery of Trevi. 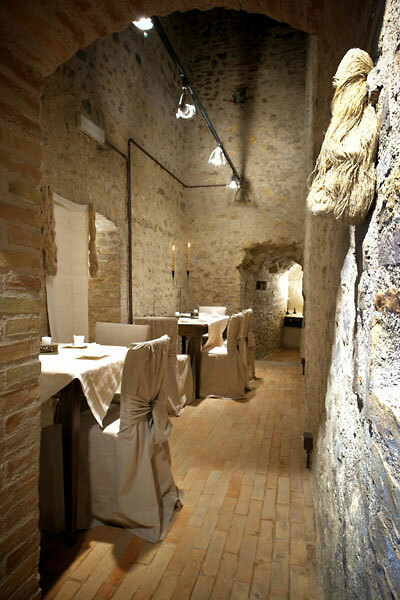 The delicious food is just one of the reasons why Torre della Botonta is such a highly requested venue for banquets and wedding receptions. Those wishing to tie the knot at the castle, can do so in the site's pretty little church. 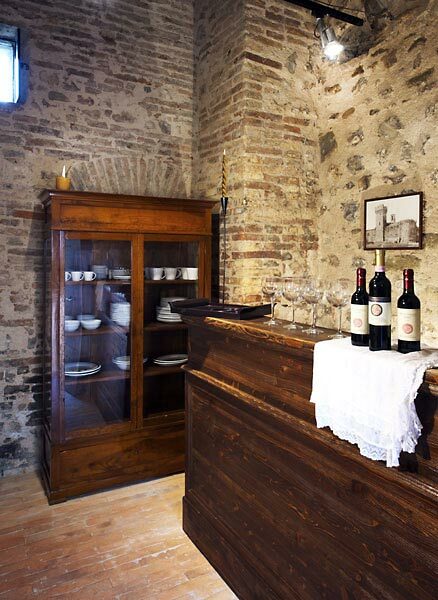 In the heart of Umbria, the period residence Torre della Botonta is located within the walls of Castel S. Giovanni, a tiny fortified village dating back to the 14th century. Trevi and Spoleto, cities which once battled for possession of the castle, are situated in the immediate vicinity of the residence. Foligno, Bevagna, Massa Martana, Deruta and Todi are all less than hour's drive away. 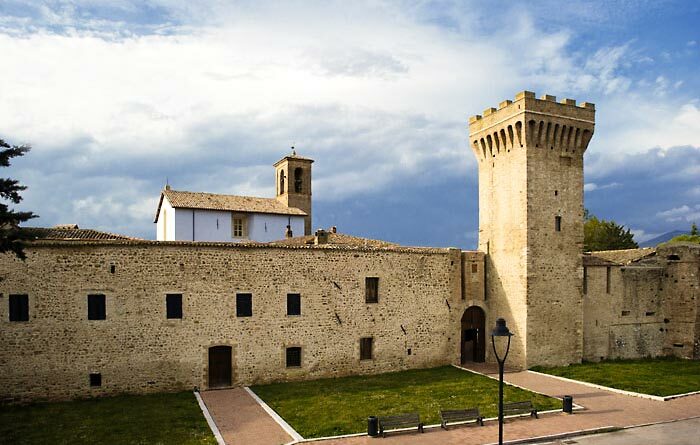 The magnificent art cities of Assisi and Perugia are only just a little further away, to the north. 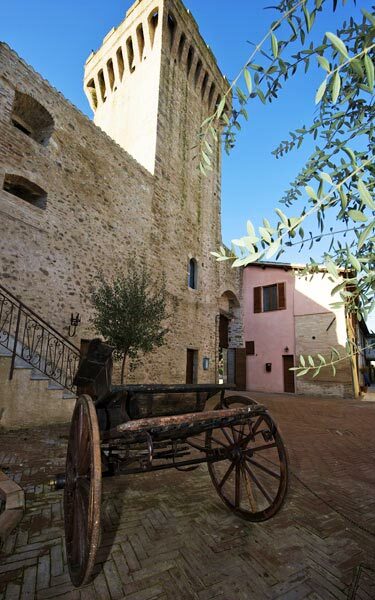 Torre della Botonta (Tower of Botonta) is part of the medieval fortified village of Castle San Giovanni, dating back to the 14th century, nestled in the heart of Umbria.